DRAINAGE EXPERTS LONDONS LEADING DRAINAGE COMPANY. HERE WE WILL LOOK AT SOME DRAINAGE PROBLEMS,WHY THESE DRAINAGE PROBLEMS OCCUR,AND WHAT WE CAN DO TO PREVENT THEM. SINCE WE ALL NOW WANT OUR HOMES TO LOOK GOOD THIS IS ALSO HAVING AN EFFECT ON OUR UTILITIES AND DRAINAGE THAT WE CAN'T SEE,SO LETS HAVE A LOOK AT A FEW OF THEM HERE ON THIS PAGE. (1) SINCE THE TURN OF THE CENTURY OUR DRAINAGE SYSTEMS HAS NEVER REALLY CHANGED ESPECIALLY IN THE MAIN CITIES BUT OUR DEMANDS AND DEVELOPMENTS HAVE,WE NOW LIKE TO SEE OUR DRIVES,PAVEMENTS,ROADS AND OTHER HARD SURFACES COVERED OVER,THIS IS LEADING TO AREAS OF HIGH LEVELS OF DRYNESS IN SOILS AND THE COMPLETE OPPOSITE IN OTHER AREAS.ONE CAUSE IS SURFACE WATER (IE RAIN WATER) CAN'T PENETRATE THESE HARD SURFACES WHERE ONCE THEY COULD,AND CONTINUE TO THE NEXT AREA THAT IT CAN GET AWAY USUALLY THE DRAINS.THESE DRAINS HAVE NOW DOUBLE THE WORK TO DO THEN PREVIOUSLY,SO IT'S BOUND TO CAUSE PROBLEMS DRAINAGE MAINTENANCE IS A MUST. THE GOVERNMENT AND OTHER BODIES NOW ARE BEGINNING TO REALIZE THIS AND ARE TRYING TO HELP TACKLE THIS ISSUE.WE FEEL WHEN COVERING WITH HARD SURFACES YOU SHOULD ALWAYS KEEP THIS IN MIND AND TRY TO INCORPORATE AS MUCH SOFT LANDSCAPE TO COINCIDE WITH THE COVERING OF HARD SURFACES. (2) CRACKED DRAINS : WHERE DO WE START WITH THIS ONE,A LOT OF CRACKED DRAINS OCCUR DUE TO SUBSIDENCE AND SOIL AND ROOT DAMAGE, ALL THE OLDER HOMES HAVE MAINLY CLAY DRAINAGE PIPEWORK SO SUBSIDENCE REALLY CAUSES PROBLEMS BECAUSE OF THE WAY CLAY DRAINAGE IS BUTTED UP TOGETHER,SO WILL CAUSE PROBLEMS AT JOINTS ETC. DRAINAGE EXPERTS HAS DONE A LOT OF REPAIR WORK ON THESE TYPES OF PROBLEMS BUT FIND THEY NEARLY ALWAYS BECOME A PROBLEM AGAIN UNLESS THE UNDERLYING CAUSE IS FIXED,SO MAKE SURE IT'S DONE RIGHT FIRST TIME BY A COMPETENT DRAINAGE CONTRACTOR AND DRAINAGE ENGINEER. 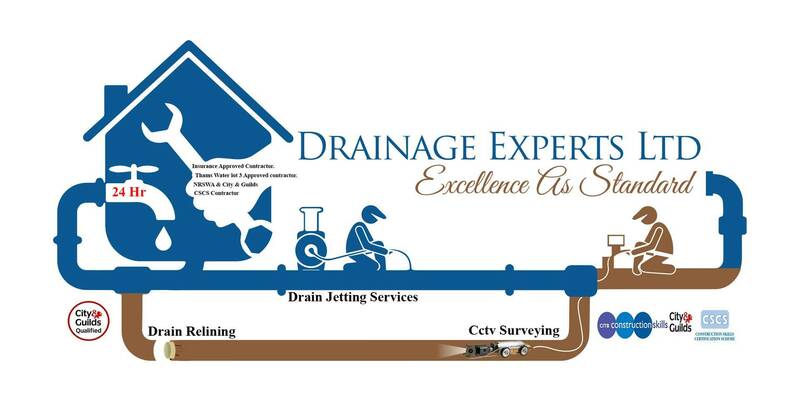 CALL DRAINAGE EXPERTS FOR ALL YOUR DRAINAGE NEEDS IN LONDON. (3) BAD SMELLS : THIS IS NORMALLY AN ISSUE THAT WILL HAVE BEEN MANIFESTING UNDERGROUND FOR A WHILE,WE ARE AFRAID TO SAY NOT ALL SHOPS,HOMES,RESTAURANTS ARE FREE FROM PUTTING STUFF DOWN OUR SINKS THAT WE SHOULDN'T.I WAS WORKING FOR A MAJOR DRAINAGE CONTRACTOR NEARLY 15 YRS AGO AND SAW FIRST HAND THE STATE OF THE DEEP DRAINAGE SYSTEMS IN AND AROUND OUR CITIES,CHAMBERS FULL OF HARD FAT AND OTHER THINGS TO AWFUL TO MENTION,SO THINK OF THIS THE NEXT TIME YOU WANT TO BE TEMPTED TO PUT THAT OIL OR CHIP FAT DOWN THE SINK THINKING ITS ONLY A LITTLE BIT, I AM SURE THE OTHERS THOUGHT THE SAME EH.THIS IS WHERE GOOD DRAIN MAINTENANCE IS PARAMOUNT. SMELLS ARE NORMALLY EASY TO FIX AS LONG AS WE CAN FIND THE SOURCE DON'T BE TEMPTED TO USE SOLVENTS ETC THAT YOU'VE SEEN ON TV, THEY NEVER SOLVE THE PROBLEM JUST MASK IT.THERE IS NOW DRAIN EQUIPMENT AT OUR HANDS THAT 20YRS AGO WE NEVER HAD,MAKING IT MUCH CHEAPER AND ACCURATE THAN EVER BEFORE TO DIAGNOSIS AND FIX THESE PROBLEMS. LONDON IS ONE MAJOR CITY THAT HAS EXPANDED AT A MASSIVE RATE YET HAS SOME OF THE OLDEST DRAINAGE SYSTEMS IN THE COUNTRY,THE MAYOR AND OTHER BODIES ARE TRYING TO BALANCE NEW BUILD PROJECTS TO HAVE SOME SOFT LANDSCAPING INCORPORATED INTO THE BUILDS AS TO NOT MAKE THINGS ANY WORSE THAN THEY ARE FOR OUR DRAINAGE SYSTEMS. ITS GETTING HARDER TO FIND GREEN IN OUR CITIES AND EASIER TO SEE ALL THE HARD SURFACES WE CREATE,PEOPLE MAY FIND THAT OCCASIONALLY THEY HAVE A DRAINAGE PROBLEM,BUT JUST THINK THESE DRAINS WE USE ARE VERY OLD AND NEED CARE AS THE WAY WE WOULD CARE FOR OUR TRANSPORT SERVICES,WATER AND GAS SERVICES. THERE HAS ALWAYS BEEN A GREY AREA AS WHO OWNS THE DRAINAGE SYSTEMS AND SO OFTEN WE SEE LOCAL AUTHORITIES NOT CLAIMING RESPONSIBILITY FOR THESE DRAINS MANY QUESTIONS RANGE FROM WHERES THE PROBLEM LOCATED IF ON THE OWNERS PROPERTY ITS THE OWNERS RESPONSIBILITY,TO DIFFERENT LOCAL AUTHORITIES BLAMING THE OTHER AS WHO OWNS AND MAINTAINS WHAT DRAINAGE SYSTEMS. ALL WE AT DRAINAGE EXPERTS CAN SAY IS WE ARE HERE TO ANSWER ANY QUESTIONS AND TO ADVISE ON WHAT COURSE OF ACTION TO TAKE TO THE BEST OF OUR KNOWLEDGE. THAT'S WHY WE'RE HERE. WHEN BUILDING YOUR GARDEN,PAVING ETC THINK OF WHAT CAN BE DONE TO HELP ENSURE YOU DON'T COME ACROSS PROBLEMS IN THE FUTURE A JOB PLANNED IS A JOB WELL FINISHED. 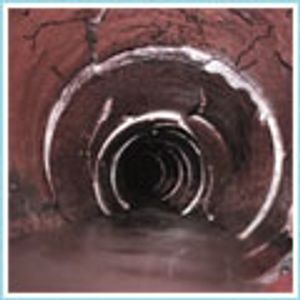 DRAINAGE EXPERTS : LONDON - KENT - ESSEX DRAINAGE EXPERTS.